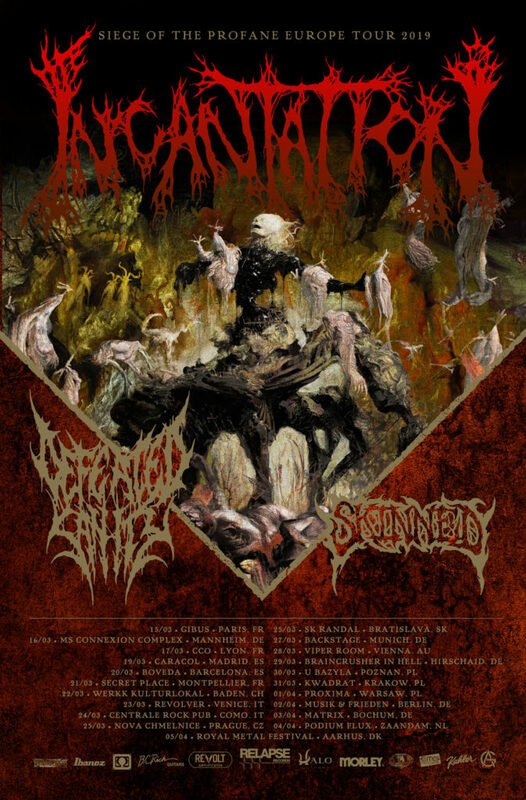 Death metal legends INCANTATION announce the Siege of the Profane headlining European tour throughout early Spring 2019. Support will be provided by Defeated Sanity and Skinned. The tour begins March 15 in Paris, FR and ends April 5 in Aarhus, DK. All confirmed tour dates are available below. INCANTATION’s Profane Nexus is out now on CD/LP/Digital via Relapse Records. Physical bundle orders are available via Relapse.com HERE and digital orders HERE.A full collection of INCANTATION music videos and audio is available AT THIS LOCATION. ← Previous post:ABORTED Hell Over North America tour announced.